Welcome to another addition of headbanging highlights of the week where I show you guys what I currently have had on the turntable, cd player or tape deck. 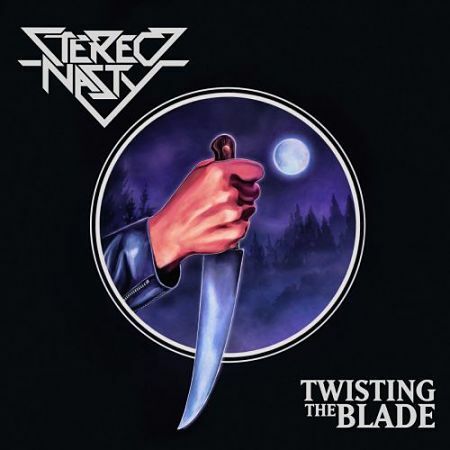 This week I have been constantly playing the new album by traditional heavy metal group entitled “Twisting The Blade”. This is the groups second album and expands on the sounds of their first with production values remaining mostly the same with a very even production how their songwriting skills have gotten a bit sharper. I listened to both albums back to back and while both are great, I like this album a bit more. With grooving tunes like “Near Dark” with a solid mid paced guitar riff and the gritty 80’s like vocals are very infectious. The title track is one of my favorites as it sounds like its playing on a radio in the beginning but turning into a full fledge metal tune that would sound right at home on an early Dokken record but the vocals make it its own thing with more grit not uncommon among more thrash like vocalists. There are some great softer and more melodic ridden songs such as “Vengeance” with a great atmosphere with some great synthesizers throughout. There honestly isn’t a bad song in the bunch. The band know how to keep the same sound however they know how to utilize it to keep making fresh music that has hooks aplenty. The band sounds very tight and don’t try to phone it in and that makes this is another true to form Heavy Metal release you need to own this year. The album currently is up for digital download in the link below but I really hope their is a cd or vinyl release for this album somewhere in the future.